Actinomycetes are a group of prokaryotic organisms belonging to Gram-positive bacteria and play an important ecological role in recycling substances in the nature. The objective of this study was to isolate and identify actinomycetes from termites gut against human pathogen. Total isolates were examined for antimicrobial activity and selected isolate was identified using morphological characters and molecular technique. The results showed that eighty-three strains of actinomycetes were isolated from guts of Termes sp. Among these, 66, 67, 7, 9 and 3 isolated strains were active against the tested pathogenic microorganism of Bacillus cereus, Staphylococcus aureus, Pseudomonas aeruginosa, Escherichia coli and Candida utilis, respectively. Furthermore, some isolate of actinomycetes was able to inhibit both Gram-positive and Gram-negative pathogen. The isolated actinomycetes strain FSPNRU 102 having broad spectrum of inhibition was selected. The morphological character of this strain showed aerial mycelium with longitudinal spirales-type spore chain and light black soluble pigment. The aerial spore color varied from white to gray. Moreover, this strain contained LL-diaminopimelic acid of the peptidoglycan in the whole-cell hydrolysate of chemotaxonomical characteristic. These results assigned strain FSPNRU 102 to genus Streptomyces. 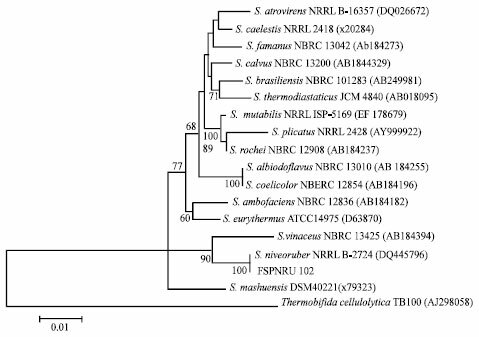 Based on its 16S rDNA sequence and phylogenetic tree analysis, this new isolate belong to the Streptomyces niveoruber. K. Khucharoenphaisan, N. Sripairoj and K. Sinma, 2012. Isolation and Identification of Actinomycetes from Termites Gut against Human Pathogen. Asian Journal of Animal and Veterinary Advances, 7: 68-73. Termites are a group of social insects that one of important factors in ecosystem by playing an important role in the carbon and nitrogen cycles (Robert et al., 2007; Khucharoenphaisan et al., 2011). Termite guts contained large number and wide variety of bacteria. Their bacteria play an essential role in the metabolism of organic matter such as carbon and nitrogen from termite food sources (Ramin et al., 2008). They are a source of a novel genera and species. Based on classical microbiology and 16S rDNA sequencing technique, over a dozen genera of bacteria have been identified in the subterranean termite as a new species (Leadbetter and Breznak, 1996; Schafer et al., 1996; Ohkuma and Kudo, 1996). Actinomycetes are a group of Gram-positive bacteria with its DNA rich in mol G+C content (Lo et al., 2002). They were outstanding source for bioactive compound production. Actinomycetes produced large number of important secondary metabolite such as antibiotic compounds including streptomycin, actinomycin and tetracycline (Barrios-Gonzalez et al., 2005). Most antibiotics from actinomycetes have been reported by many researchers (Kavitha et al., 2009; Raja and Prabakarana, 2011). Among actinomycetes predominantly Streptomyces sp. has been recognized as major producer of bioactive metabolite with broad spectrum of activities such as antibacterial and antifungal agents (Usha et al., 2011; Reddy et al., 2011; Atta and Ahmad, 2009), where as Micromonospora and Norcardia lesser than those. (Arifuzzaman et al., 2010). 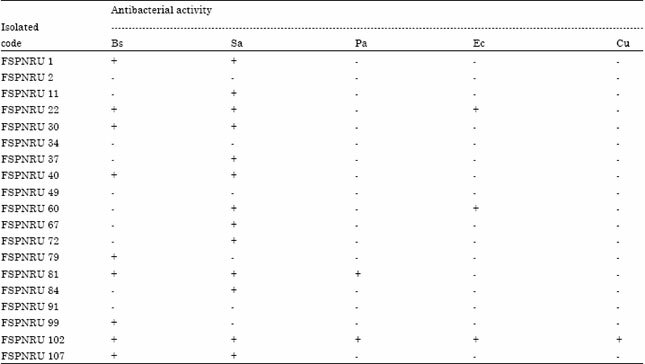 The isolates of Nocardia levis from soils (Kavitha et al., 2009), Steptomyces sp. from desert soil (Hozzein et al., 2011) and actinomycetes from mangrove sediments, soil (Baskaran et al., 2011; Dhananjeyan et al., 2010; Arifuzzaman et al., 2010) against Gram-negative and Gram-positive pathogenic bacteria. However, isolated actinomycetes from animal and insect against human pathogenic bacteria have not been reported. They may have more inhibited capacity to human pathogen than other sources such as soils or sediments. The aim of this present study was to isolate and identify the isolated actinomycete from termite gut samples in genus Termes. Furthermore, they were determined their antagonistic activity against selective human pathogenic microorganism such as some Gram-negative, Gram-positive pathogenic bacteria and pathogenic yeast. This research project was conducted from September 2010 to June 2011 at Faculty of Science and Technology, Phranakhon Rajabhat University, Thailand. Isolation and screening of actinomycetes: Actinomycetes were isolated from gut of Termites in genus of terms that was collected from Sakaerat Environmental Research Station in Nakhon Ratchasima province, Thailand. Each sample was grinded and diluted to go on serial dilution and plate on humic acid vitamin agar (Hayakawa and Nonomura, 1987) supplemented with 50 mg L-1 of cyclohexamide and 20 mg L-1 of nalidixic acid. The isolation plates were incubated at room temperature for 30 days. The number of total actinomycetes was evaluated after the colonies that appeared on the plates. The colonies had been transferred to yeast extract-malt extract (ISP medium No. 2) (Shirling and Gottlieb, 1966) plates for purity check. Identification of actinomycetes against human pathogen: The 16S rDNA amplification of actinomycetes was prepared by PCR using universal primer 9F (5-GAGTTTGATCCTGGCTCAG-3) and 1541R (5-AAGGAGGTGATCCAGCC-3). The PCR products were purified and directly sequence using a Big Dye® Terminator V3.1 cycle sequencing kit (Applied Biosystems) and the universal primers 9F(5-GAGTTTGATCCTGGCTCAG-3),785F(5- GGATTAGATACCCTGGTAGTC-3), 802R (5-TACCAGGGTATCTAATCC-3) and 1541R(5-AAGGAGGTGATCCAGCC-3). The nucleotide sequences were compared with other bacteria using the Genetyx version 5.0 program. The phylogenetic tree was constructed by using the neighbor-joining method in MEGA version 4 software. The topology was evaluated by bootstrap analysis based on 1000 resamplings (Felsenstein, 1985). Diaminopimelic acid isomer from whole-cell of isolated actinomycetes culturing on ISP medium No. 2 were determined according to standard procedures (Cuesta et al., 2010). Spore-chain morphology under light microscopy, aerial spore colour and diffusible pigment on ISP No. 2 medium were recorded after 14-day cultivation at 30±2°C. Determination of antibacterial activity: Anitibacterial activities of isolated strains were tested against Gram-positive (Staphylococcus aureus, Bacillus cereus), Gram-negative (Pseudomonas aeruginosa, Escherichia coli) and yeast (Candida utilis). The isolated strains were inoculated on ISP no 2 agar (Khucharoenphaisan and Sinma, 2011) along the middle line of the plate by streaking. After 7-day incubation, the fresh test microorganism were streaked at 90° angle as close as possible to the streak line of actinomycetes on both sides. Three replicates were obtained for each isolated actinomycetes. Isolation of actinomycetes and antibacterial activity: Eighty-three actinomycetes were isolated from termite. All isolated strains were analyzed their antimicrobial activities and some of them were showed in Table 1. They were 66, 67, 7, 9 and 3 isolates were active against the tested pathogenic microorganism of B. cereus, S. aureus, P. aeruginosa, E. coli and C. utilis, respectively. Among these, some isolate of actinomycetes was able to inhibit both Gram-positive and Gram-negative pathogen. The result indicated that antimicrobial activities obtained from actinomycetes were effective against Gram-posotive bacteria (B. cereus, S. aureus) more that Gram-negative bacteria (P. aeruginosa, E. coli) and yeast (C. utilis). The isolated actinomycetes strain FSPNRU 102 having broad spectrum of inhibition as shown in Table 1 was selected for further study. The finding agreed with the report of Hozzein et al. (2011) that Streptomyces sp. isolated from desert soil have effective activity against Gram-posotive bacteria more that Gram-negative bacteria. Moreover, Ghadin et al. (2008) reported that isolate, namely SUK 06 showed killing activity against one or more pathogenic bacteria containing B. subtilis, P. aeruginosa ATCC 27853 and B. cereus. Raja et al. (2010) also isolated Intrasporangium sp., Dactylsporangium sp., Micromonospora sp., Streptoverticilium sp. and two Streptomyces sp. from hill soil and showed antibacterial activity against Streptococcus mutans and Streptococcus oralis. Fig. 2: Phylogenetic tree of nucleotide sequence analysis of 16S rDNA of strain FSPNRU 102 with related species of Streptomyces constructed by Neighbor-joining method from MEGA4 program. The tree is rooted by the nucleotide sequence of Thermobifida cellulolytica TB100. 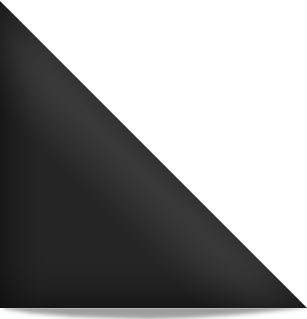 Scale bar shown distance values under the tree means 0.01 substitutions per nucleotide position. Bootstrap analyses were performed with 1000 re-samplings and percent values (>50) are shown at the branching points. The isolated strains in this study are bold letter. 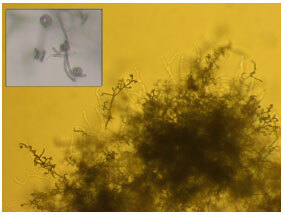 Morphological and chemotaxonomical characteristic: Strain FSPNRU 102 was aerobic, Gram-positive, non-acid alcohol-fast actinomycetes that forms extensively branched substrate mycelia. Selected strains has morphological character under microscopic and agar slant as shown in Fig. 1. This strain produced brown aerial mycelium with longitudinal spirales-type spore chain and light black soluble pigment. The aerial spore color varied from white to gray. Moreover, this strain contained LL-diaminopimelic acid of the peptidoglycan in the whole-cell hydrolysate. This result assigned strain FSPNRU 102 to genus Streptomyces (Williams et al., 1989). Molecular identification: The 16S rDNA sequence was generated for strain FSPNRU 102 (1416 nucleotides). Comparison of this nucleotide sequence with members of actinomycetes clearly showed that this strain belong to the genus Streptomyces (Fig. 2). The close relationship to Streptomyces niveoruber is supported both by treeing algorithms and by a high bootstrap value (Fig. 2). The strain FSPNRU 102 that isolated from termite gut is belonging to Streptomyces niveoruber. This strain produced bioactive compound with broad spectrum activity against Gram-positive and Gram-negative bacteria. Further study needs to be undertaken to analyze the mechanism for the antimicrobial activity of this bioactive compounds. It might be considered as a candidate source for dug production. We thank Dr. Paiboon Viriyavathana, Faculty of Science and Technology for general supports. This research was supported by Institute of Research and Development Phranakhon Rajabhat University, Thailand. Arifuzzaman, M., M.R. Khatun and H. Rahman, 2010. Isolation and screening of actinomycetes from sundarbans soil for antibacterial activity. Afr. J. Biotechnol., 9: 4615-4619. Atta, H.M. and M.S. Ahmad, 2009. Antimycin-A antibiotic biosynthesis produced by Streptomyces sp. AZ-AR-262: Taxonomy, fermentation, purification and biological activities. Aust. J. Basic Applied Sci., 3: 126-135. Barrios-Gonzalez, J., F.J. Fernandez, A. Tomasini and A. Mejia, 2005. Secondary metabolites production by solid-state fermentation. Malaysian J. Microbiol., 1: 1-6. Baskaran, R., R. Vijayakumar and P.M. Mohan, 2011. Enrichment method for the isolation of bioactive actinomycetes from mangrove sediments of Andaman Islands, India. Malaysian J. Microbiol., 7: 26-32. Dhananjeyan, V., N. Selvan and K. Dhanapal, 2010. Isolation, characterization, screening and antibiotic sensitivity of actinomycetes from locally (Near MCAS) collected soil samples. J. Biol. Sci., 10: 514-519. Felsenstein, J., 1985. Confidence limits on phylogenies: An approach using the bootstrap. Evolution, 39: 783-791. Ghadin, N., N.M. Zin, V. Sabaratnam, N. Badya, D.F. Basri, H.H. Lian and N.M. Sidik, 2008. Isolation and characterization of a novel endophytic Streptomyces SUK 06 with antimicrobial activity from Malaysian plant. Asian J. Plant Sci., 7: 189-194. Hayakawa, M. and H. Nonomura, 1987. Humic acid-vitamin agar, a new medium for the selective isolation of soil actinomycetes. J. Ferment. Technol., 65: 501-509. Hozzein, W.N., W. Rabie and M.I.A. Ali, 2011. Screening the Egyptian desert actinomycetes as candidates for new antimicrobial compounds and identification of a new desert Streptomyces strain. Afri. J. Biotechnol., 10: 2295-2301. Kavitha, A., P. Prabhakar, M. Vijayalakshmi and Y. Venkateswarlu, 2009. Production of bioactive metabolites by Nocardia levis MK-VL_113. Lett. Applied Microbiol., 4: 484-490. Khucharoenphaisan, K. and K. Sinma, 2011. Production and partial characterization of uric acid degrading enzyme from new source Saccharopolyspora sp. PNR11. Pak. J. Biol. Sci., 14: 226-231. Khucharoenphaisan, K., U. Puangpetch, K. Puttaraksa and K. Sinma, 2011. Grouping of actinomycetes isolated from termites using biochemical character. J. Biol. Sci., 11: 314-319. Leadbetter, J.R. and J.A. Breznak, 1996. Physiological ecology of Methanobrevibacter cuticularis sp. nov. and Methanobrevibacter curvatus sp. nov., isolated from the hindgut of the termite Reticulitermes flavipes. Applied Environ. Microbiol., 62: 3620-3631. Lo, C.W., N.S. Lai, H.Y. Cheah, N.K.I. Wong and C.C. Ho, 2002. Actinomycetes isolated from soil samples from the Crocker range Sabah. ASEAN Rev. Biodivers. Environ. Conserv., 9: 1-7. Ohkuma, M. and T. Kudo, 1996. Phylogenetic diversity of the intestinal bacterial community in the termite Reticulitermes speratus. Applied Environ. Microbiol., 62: 461-468. Raja, A. and P. Prabakarana, 2011. Actinomycetes and drug-An overview. Am. J. Drug Discovery Dev., 1: 75-84. Raja, A., P. Prabakaran and P. Gajalakshmi, 2010. Isolation and screening of antibiotic producing psychrophilic actinomycetes and its nature from rothang hill soil against viridans Streptococcus sp. Res. J. Microbiol., 5: 44-49. Ramin, M., A.R. Alimon, K. Sijam and N. Abdullah, 2008. Filter paper degradation by bacteria isolated from local termite gut. Res. J. Microbiol., 3: 565-568. Reddy, N.G., D.P.N. Ramakrishna and S.V.R. Gopal, 2011. A morphological, physiological and biochemical studies of marine Streptomyces rochei (MTCC 10109) showing antagonistic activity against selective human pathogenic microorganisms. Asian J. Biol. Sci., 4: 1-14. Robert, O.E., U.O. Frank and O.U. Agbonsalo, 2007. Influence of activities of termites on some physical and chemical properties of soils under different land use patterns: A review. Int. J. Soil Sci., 2: 1-14. Schafer, A., R. Konrad, T. Kuhnigk, P. Kampfer, H. Hertel and H. Konig, 1996. Hemicellulose-degradating bacteria and yeasts from the termite gut. J. Applied Microbiol., 80: 471-478. Shirling, E.B. and D. Gottlieb, 1966. Methods for characterization of Streptomyces species. Int. J. Syst. Evol. Microbiol., 16: 313-340. Usha R.J., N.H. Shenpagam and D.K. Devi, 2011. Antagonistic activity of actinomycetes isolates against human pathogen. J. Microbiol. Biotech. Res., 1: 74-79. Williams, S.T., M. Goodfellow and G. Alderson, 1989. Genus Streptomyces Waksman and Henrici 1943, 339AL. In: Bergeys Manual of Systematic Bacteriology, Williams, S.T., M.E. Sharpe and J.G. Holt (Eds.). Williams and Wilkins Co., Baltimore, ISBN: 0-683-09061-5, pp: 2453-2492.